Pushing ahead in the decades-long effort to get computers to understand human speech, these three iPhone applications feature sophisticated voice recognition technology. The ability to recognize just about any phrase from any person has long been the supreme goal of artificial intelligence researchers looking for ways to make man-machine interactions more natural. Systems that can do this have recently started making their way into the mainstream. These three voice recognition iPhone apps are great…why? Because they “rock like KISS” (via Lacy Razor) and they also happen to be free of charge! Enjoy. 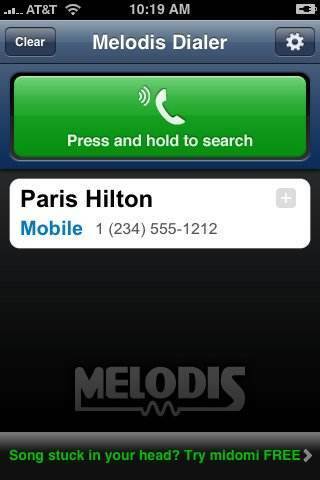 Melodis Dialer – one of my complaints for the iPhone in comparison to other smart phones was that it did not offer the ability for voice recognition dialing. The Melodis Dialer application fixes that. I’ve tested it out and although it didn’t connect with Paris Hilton for me it did recognize just about every other name. The application works best when a first name and last name are spoken. 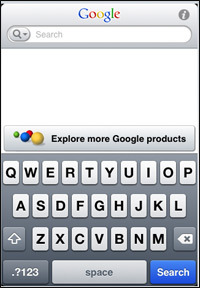 Google Mobile App – Driving or just don’t like to type? This app is for you…functions just like Google’s search engine, however this app uses voice recognition to populate the search field. Give it a try. Voice Notes – Have you seen the movie Dirty Work? “Note to self…” If you are like me and are always on the go you probably don’t like having to type notes into your iPhone. 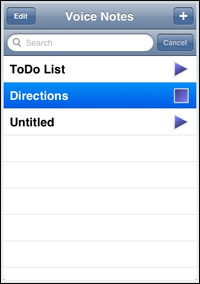 Use VoiceNotes instead and record a short audio message for later reference. Why walk when you can stumble? Why type when you can speak? The year 2009 is expected to have a significant increase in cloud computing. As a metaphor for the Internet, “the cloud” is a familiar cliche, but when combined with “computing” it can appear more confusing than it really is. Cloud computing is a service based technology. It is a savings oriented business model. What this means is that the services and applications are hosted off line and the end users do not have to worry about the technical details or investment of money. Essentially, cloud computing is web based software and storage solutions. There are two main advantages to cloud computing. The software is stored on the third party’s servers, thus providing users the ability to access systems regardless of their location or device. It also enables the sharing of resources and costs among a large pool of users. In a struggling economy movement to “the cloud” is expected as it is a way for businesses to trim operating costs. I have argued in the past against cloud computing as I strongly believe in keeping things internal and not having to rely on outside third party vendors. As this movement takes stride be cautious as to how dependent you become as a simple change in the services structure such as a price increase, change in service offering, etc. could greatly impact your business based upon your level of reliance. Google Apps is a common example of cloud computing. It provides common business applications online that are accessed from a web browser, while the software and data are stored on Google servers. Applications like document sharing, calendars, email, live chat/instant messaging, and so much more. Freshbooks – Online Invoicing, Time Tracking, and Expense Service. Recently, we were contacted by SmyrnaVinings.com to setup an online polling system for their website. Our client wanted to be able to provide community residents the opportunity to vote for their favorite businesses and restaurants through a web survey. Developing a custom poll system was an option, but our client wanted an out-of-the-box solution that could easily be implemented on his WordPress based site. Through research and reaching out to our friends within our ‘internet marketing network’ (one honorable mention, Brad Nix) we were directed to a plethora of quality solutions. However, only the following solutions made our Top 5 list. SurveyMonkey.com – Need a robust and powerful tool for creating web surveys? SurveyMonkey.com is used by several Fortune 500 companies. Wufoo – HTML form builder that provides an easy way to create contact forms, online surveys, and invitations so you can collect the data, registrations and online payments you need without writing a single line of code. Zoho Polls – Want to decide on something? Create your own FREE online poll in 3 easy steps! twtpoll – Create simple surveys and polls with this twitter application and then share them via twitter, Facebook, or email. Text the Mob – Presenting information to an audience and want their feedback with real-time polling software? Text the Mob allows for data to be collected by project polls or message boards on a large screen and allow audience members to text their responses via their cell phones and see results instantly. For further explanation, watch the video below.